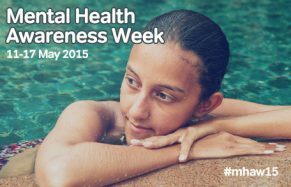 To mark Mental Health Awareness Week in May 2015 (#MHAW15) we have put together this blog. There is a lot of support for people affected by mental health but it can be difficult to find your way through the options. Here is a list of ideas that may help you. If you are already in touch with local mental health services, you can contact your GP or crisis team. Even if it is out of hours, there will be an answer phone message advising you of whom to contact in an emergency, together with other useful telephone numbers. In an emergency, if you are concerned about the well-being of a relative or friend and feel they are mentally unwell and are putting themselves or somebody else at risk, you could try contacting their local social services emergency duty team, the home-intervention and crisis team or the police (The numbers are given above). If it is appropriate a social worker on duty will arrange for a mental health assessment. Relevant contact numbers should be available in a local telephone directory, or on the local Primary Care Trust website. You can also phone their GP, there will be an out of hours or emergency number on their answer machine.